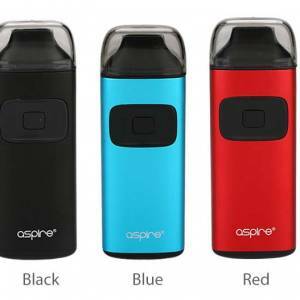 Aspire do an excellent job of making pocket-size kits, and this product is no different. Seriously, it’s no bigger than an iPhone! So, it’ll fit snuggly into your top pocket or back sky. It truly is an all-in-one device, dynamite in a small package! It comes packaged with a 0.6Ω stainless steel U-Tech coil and to every cloud chasers, delight is a sub-ohm vaporiser. For those of you that don’t know, this means that you’re able to blow huge plumes of smoke without too much fuss! 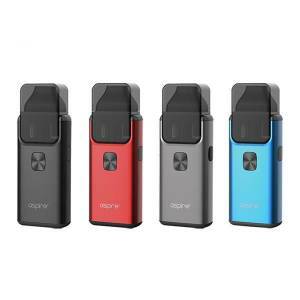 The PockeX has a broader drip tip than that of the K series, boasting a bigger top-airflow, hence upping its overall capability of producing vape clouds. Some call it a shortcut to creating clouds, we call it modern technology and progress. It’s perfect for the traveller because you won’t have to lug too much vape gear around. It comes in matte black, rose gold, rainbow, blue, stainless steel and Pantone white, so there’s something for everyone.